Bonuchi Law is built on the broad appellate and litigation experience of Tony Bonuchi. Before founding the firm, Tony was a partner in the appellate and litigation practice groups at one of the nation's largest law firms. 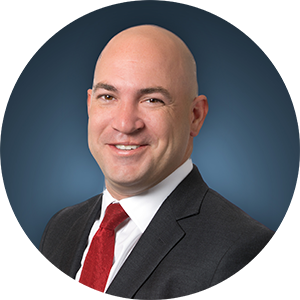 He has briefed or argued appeals in state and federal courts across the nation and as trial counsel he has managed every aspect of litigation. His clients range from startups, entrepreneurs, and individuals to some of the country's most successful companies. Tony's cases cover a wide range of issues, including antitrust, intellectual property, administrative and constitutional law, consumer protection, mass torts, class action, personal injury, employment, corporate governance, and officer, director, fiduciary, and professional liability. After the Missouri Court of Appeals reversed summary judgment in favor of law-firm client, the Supreme Court of Missouri granted transfer and affirmed the summary judgment of the trial court, saving the client from defending claims asserting $17 million in damages. After fully briefing a client's appeal from a $7.6 million jury verdict in a business contract dispute, the respondent agreed to a settlement saving the client a substantial amount from the judgment. Missouri Court of Appeals reversed judgment in favor of defendants and took the rare step of affirmatively ordering a six-figure judgment in favor of our client on appeal. The Missouri Court of Appeals reversed $5 million of a $6 million judgment agreeing that most of the claims were barred by sovereign immunity. The U.S. Court of Appeals for the Tenth Circuit reversed a federal administrative agency decision against a client and in favor of insurer as arbitrary and capricious because the agency had refused to determine whether information forming the basis of its decision was credible. Affirming the Ninth Circuit, the Supreme Court of the United States adopted our clients' argument that the federal Natural Gas Act does not preempt state anti-trust claims arising out of a nation-wide conspiracy to manipulate the market. The decision allowed several class actions to go forward, in which natural gas purchasers in Missouri, Kansas, Wisconsin, and Colorado seek in excess of $100 million in damages against the nation's largest natural gas companies.